The Aurora Series DVR has a wide range of features, including push notification, front panel touch technology, easy connection via a QR code, 960H recording resolution, HDMI output and cloud storage as well as access to theâ€œMyKGUARDâ€homepage. 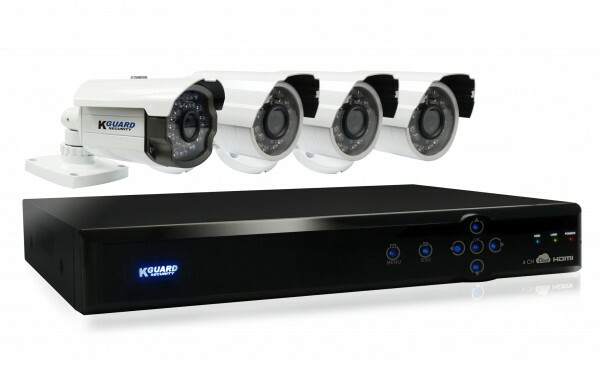 KGUARD has designed all these functions with the latest technologies into its DVR in order to satisfy our customers' needs. The new series is equipped with both 800TVL and 700 TVL high resolution cameras. The 800TVL auto tracking camera allows you to focus on moving objects. The camera can automatically detect moving objects in its field of view and focus on that part of the picture to make it become larger and clearer. Also included is the WDR, which filters out the intense back light and eliminates shadows.